Common pond weeds found in Cold Water, Michigan. The list below are some common pond weeds you can find in Cold Water, Michigan. With our Cold Water Pond Maintenance we will be able to address the pond weeds on this list, plus more. These are some of the common pond weeds you will find in Cold Water. Michigan. 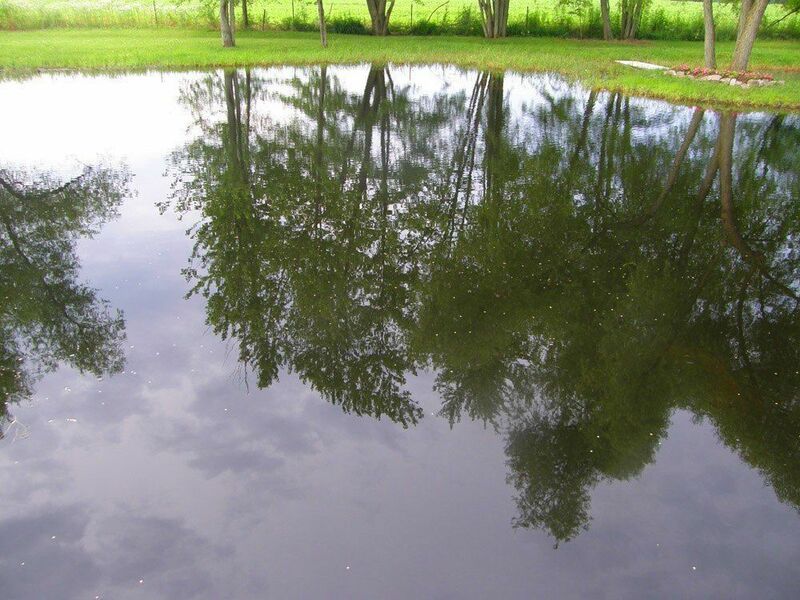 Our Cold Water pond maintenance service will take care of your pond and make it sparkle. Is there a cost to maintain a pond yourself? The information below will help you with your decision of maintaining it yourself or having one of our Cold Water pond maintenance experts help you when it comes to your pond maintenance. Ponds bring that extra spark of beauty to our homes and residential communities in the Cold Water, Michigan area. But they also require a healthy amount of time and effort to keep them clean and weed free. It is recommended to begin treatment around the time weeds and algae begin growing. This is when the water temperature reaches 65℉, or the mid-April time frame in Cold Water. Why you should start your pond maintenance in Cold Water early, and often is recommended. It takes twice as long to treat a pond once the summer months have arrived because there is less oxygen for fish. If you decided to treat an entire pond at once you would suffocate the fish, so one-half of the pond is treated first, then the other half of the pond is treated two weeks later. 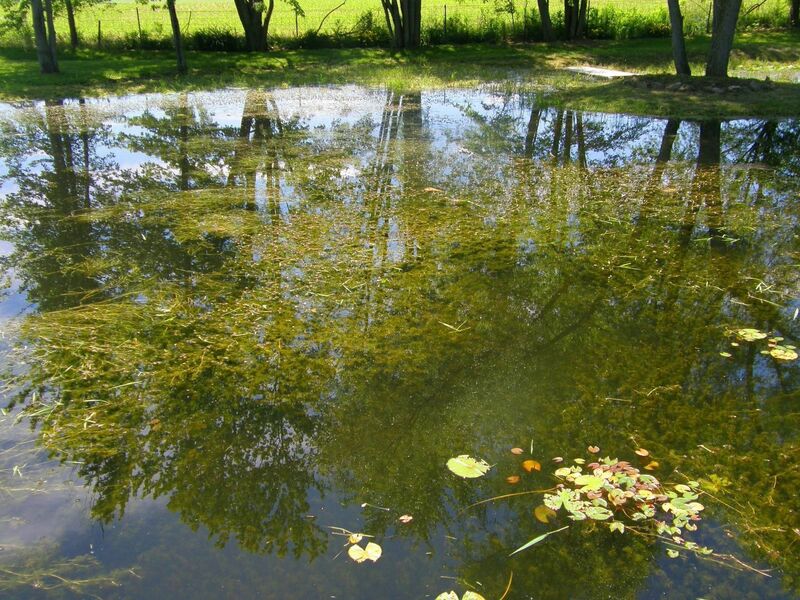 Conversely, if you treat the pond in the early spring season, you can treat the whole pond at once since there is three times the amount of oxygen available to fish at this water temperature, and they can then withstand the full treatment. Once a pond is treated, the algae will return at a rate of 21 days on average, requiring multiple treatments every other week throughout the warm water season which usually lasts until the end of September. Because of this, it does not work to simply put a treatment in once, and then expect that to take care of it for the season. The return algae growth is not visible at first, and usually takes many Cold Water homeowners by surprise, since by the time you see the algae, the pond has already become out of control and will take multiple extra treatments in a short time frame to reach a pristine state again, rather than maintaining an easy equilibrium throughout the season. Should I treat my own pond or hire a pond maintenance professional in Cold Water? Many Cold Water. Michigan pond owners start with the idea to treat their own ponds. There are several reasons why this isn’t the best option, even when considering the cost involved. Homeowners do not generally have access to the same herbicides our Cold Water pond maintenance professionals do. If they are able to purchase aquatic herbicides, it is at a higher cost. Aquatic chemicals undergo an extensive research and testing process in order to be approved by the EPA which accounts for their high cost and complexity in application, unlike other chemicals, such as used in lawn care. Our Cold Water pond maintenance plan will keep your pond looking great all year long. Some homeowners end up actually spending more money trying to perform pond maintenance themselves than they would have spent hiring the professional from the beginning! Insured (a key benefit among neighbors in a residential community). Experts in herbicides, aquatic chemicals, and diagnosing your pond’s needs. Maintaining the ideal pond treatment schedule. Experienced. We’ve been treating ponds since 1983. 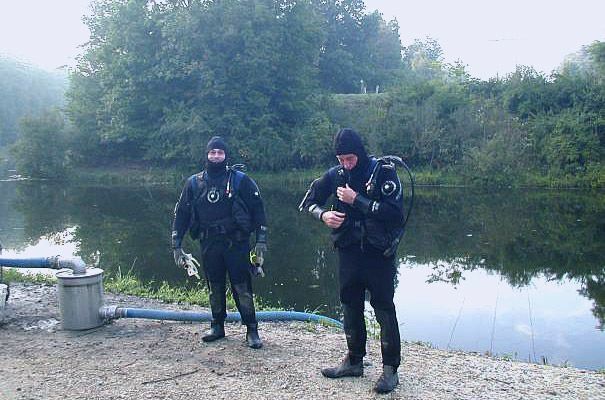 Our “clean Cold Water pond maintenance contracts” include regular inspections to provide preventative treatment. 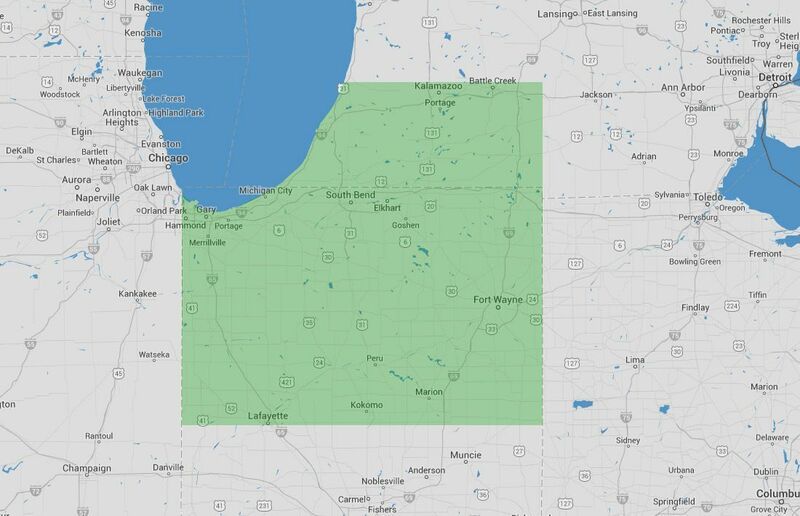 We also offer “per application” contracts in the Cold Water, Michigan area. Call us at (574) 533-2597 or submit the form to schedule a Free Site Assessment to see if our Cold Water pond maintenance is right for you. Get sound advice and answers to your questions about our pond maintenance in Cold Water. Call before April 30th to get scheduled before the rush and stop weeds & algae before they start.